Why is Return Fraud such a Problem? For most, the start of a new year is a time to reflect on goals and positive changes. It is when people take the time to plan out what should and needs to get done for the next 365 days – or for the next 366 days on leap years, just like this year. 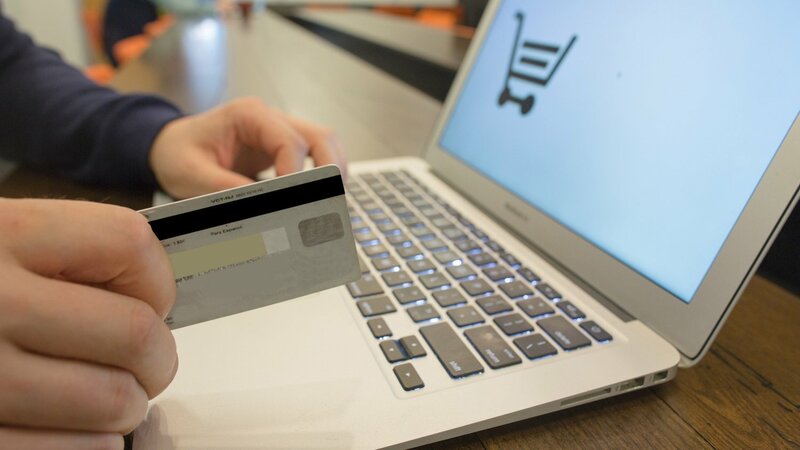 Unfortunately, for retailers, as desirable as it is to set aside sufficient time to forecast and plan for the next 52 weeks, they often do not have this luxury. Because in the retail world, the beginning of each year simply means that they are in the midst of the holiday returns season. 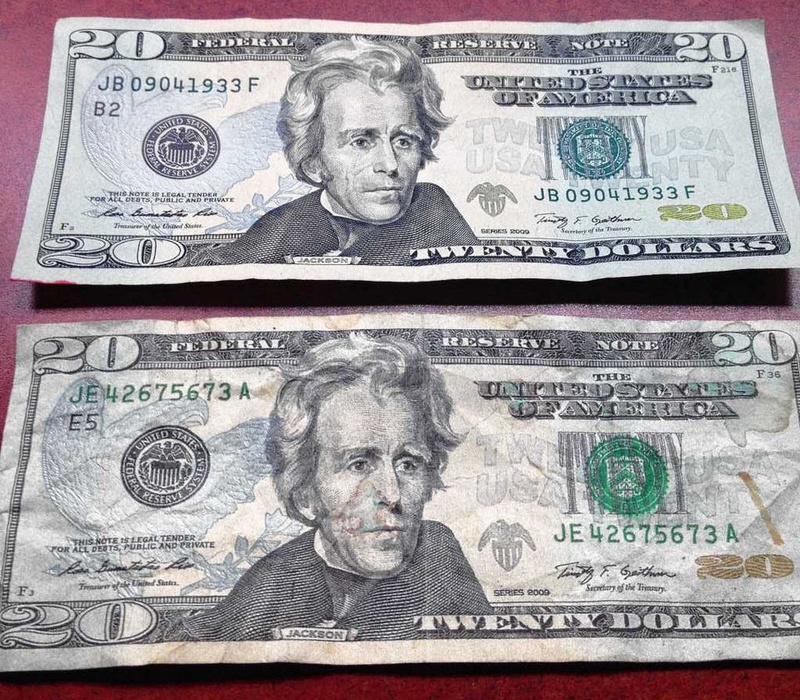 Can you tell which twenty is fake? The twenty on top is real and the twenty on the bottom is counterfeit. Popular culture would have you believe that the Secret Service is an agency whose sole responsibility is providing security to the President of the United States, but they are actually an agency that deals first and foremost with financial crimes – mostly counterfeit money. In fact, the Secret Service was initially created not as a protection detail outfit, but as a method of counterfeit cash suppression. It is the Secret Service who is called upon whenever counterfeit money turns up. And, if you’re following the news, counterfeit money turns up quite often. Employees tasked with running cash registers and point of sale (POS) systems are a store’s first defense against check and currency fraud. 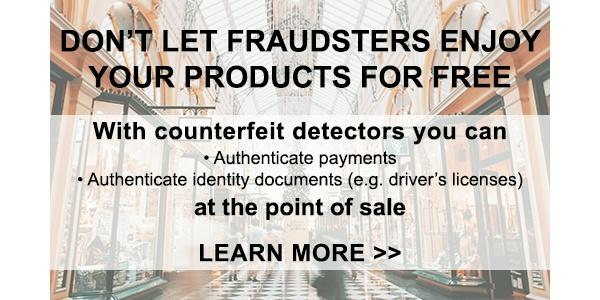 Training point of sale employees to detect fraudulent identity documents, counterfeit money, and other problematic materials is an essential part of bolstering a company’s resistance to loss and theft. 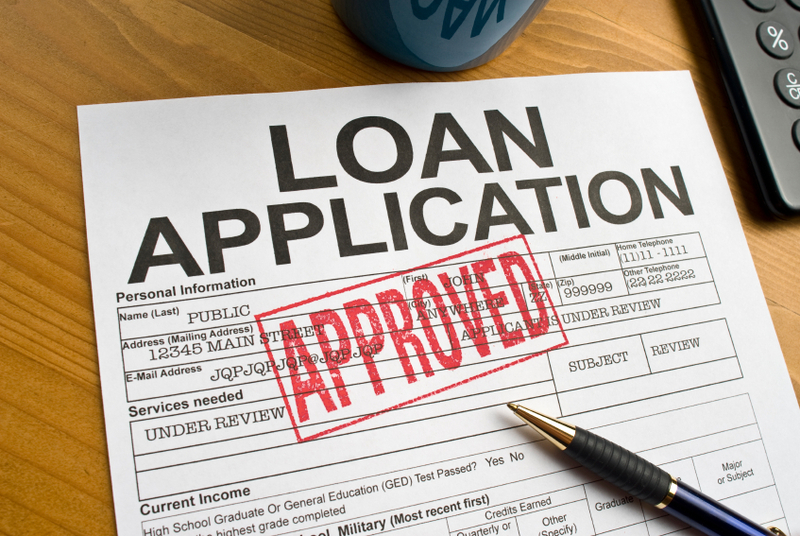 However, even the best training programs cannot take the place of specially designed fraud resistance equipment. 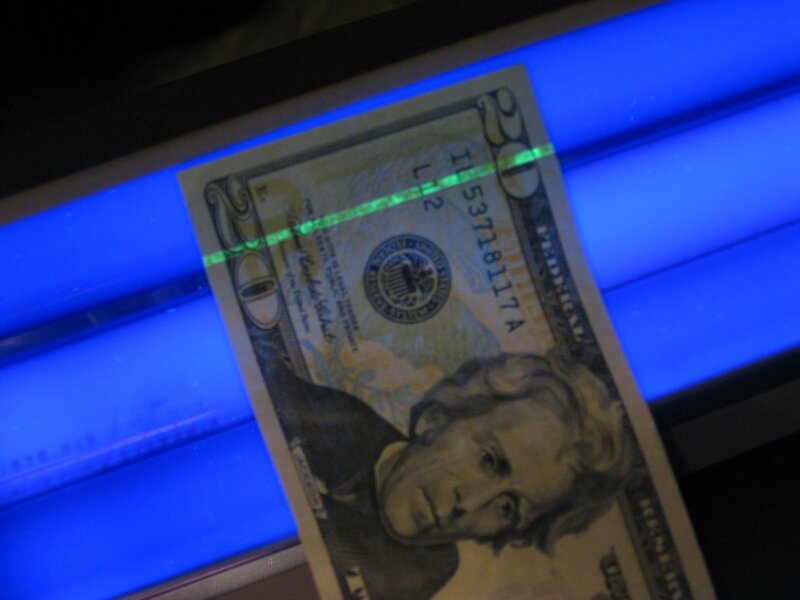 Items like counter-mounted ultraviolet lights provide valuable support in loss prevention and company security. 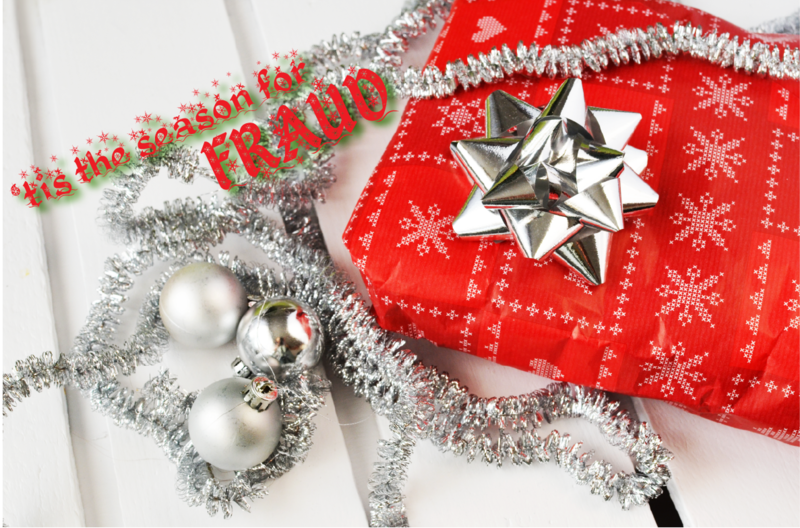 According to a recent survey of major U.S. retailers, conducted by the National Retail Federation, retail return fraud is estimated to be about $2.9 Billion this Christmas shopping season. That's Billion with a capital "B". 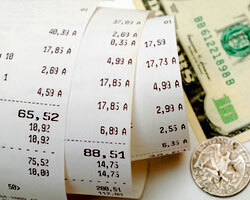 Money counting is a matter of time and accuracy. Either you save time with the CountEasy(tm) Scale - and therefore save money - or you spend an inordinate amount of time hand counting the cash registers at the end of the day and therefore lose money. When you consider the likelihood of necessary recounts, inaccuracies, mistakes and theft that occur when counting by hand instead of using money counting machines to end your store's operation for the day, the opportunity to save money becomes magnified even greater. Consider your business. 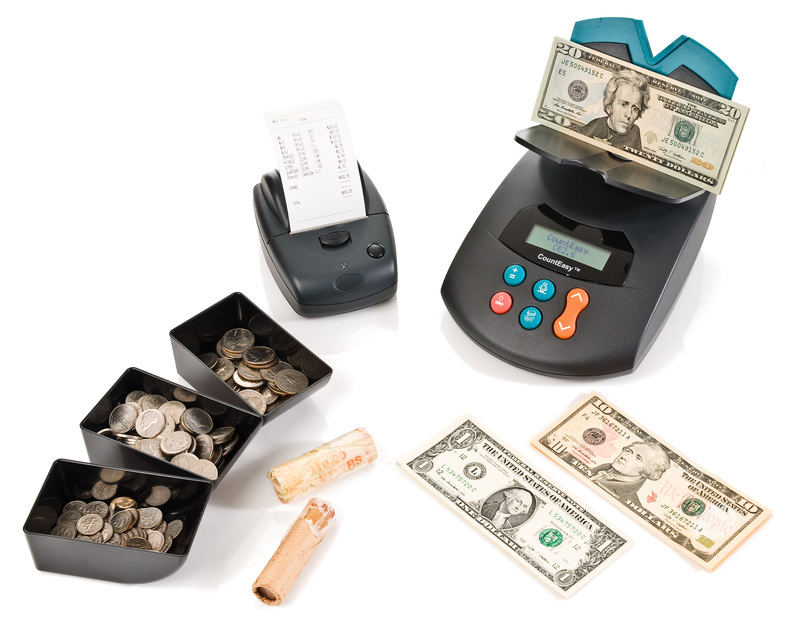 If you have several cash registers to close-out every shift, the process requires a cashier or office worker to hand count the money. Each drawer can take up to fifteen minutes to count down. Multiply that by 4 registers and you've spent an hour counting down the drawers. If you have more tills to count the time increases to the point where a fair part of the day is wasted counting the money. Using a CountEasy(tm) scale would reduce that time to as little as ten minutes to count all four drawers. The employee time saved can be put to better use like interfacing with customers or tending to the shop. Take a look at the following example of an average store with only 2 registers to set up and count down.